Lemons are not only refreshing and tasty in a drink or to accompany that salad dressing or fish, they also contain fantastic health benefits too. From vitamin C to potassium and B vitamins, the humble lemon is more than a little bright yellow waxy fruit. There are countless ways you can incorporate lemons into your daily healthy eating regime, and there could be many long term advantages to your health in doing so. Read on to discover just five of the fantastic ways in which lemons can benefit your health today. Lemons contain a high level of vitamin C and flavonoids. These help the body to fight against infections such as colds and the flu. Hot lemon drinks or a lemon in warm water on its own are often also recommended as part of a detox diet. This is because lemons can cleanse and help to purify the body’s system. Lemons can also help to create bowel movement because they increase what is known as ‘peristalsis’ in the bowels. This process essentially means the contraction and relaxation of muscles, and when it comes to the bowels it is known as a ‘peristaltic wave’. Vitamin C is a powerful antioxidant and is of course present in lemons as I have already mentioned. However, when eaten or applied topically to the skin, it can have a contributing effect to helping to reduce wrinkles. This is because vitamin C helps with the formation of collagen. Collagen is the protein made of amino acids which helps to give skin its plump and youthful appearance. Whether it is those last few stubborn pounds of weight you are trying to get rid of, or making a change for the better in the long term for your health, maintaining a healthy weight is something that we would all like to achieve. Although lemons on their own can not achieve weight loss, the vitamin C that they contain can assist us in this quest. This is because vitamin C is an essential component in helping our bodies to metabolize fat cells. If you have a low intake of vitamin C then you are not going to be able to burn fat as readily. Oranges, grapefruit and limes are also great sources of vitamin C to include in your diet for these benefits. Lemons contain many anti-cancer compounds such as limonene. Limonene can help to slow down the growth of certain cancers such as that of the mouth, lung, breast and skin. In addition, a derivative of limonene is limonin. In lemons, this is in the form of limonin glucoside. This essentially means that the molecule is attached to a sugar or ‘glucose’ molecule. This can help in the fight against cancer because it contributes to stopping the cancer cells dividing and therefore multiplying in the body. Have you heard of ‘vitamin P’ before? Well this is actually the common name for the naturally occurring bioflavonoid called hesperidin. Hesperidin is one of the most active bioflavonoids in lemons and helps to also protect against cancer. This bottle is really great for making your own lemon water at home. 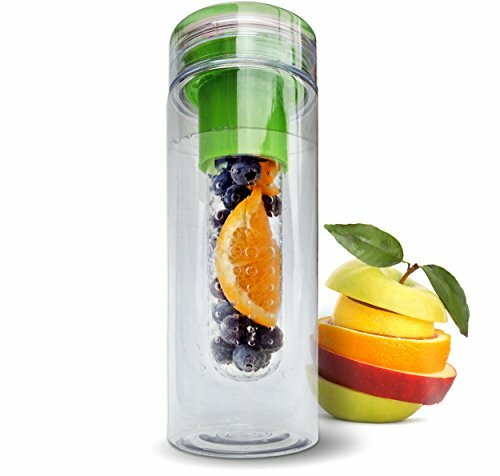 You can add any fruits to the center of the bottle and throughout the day they will infuse into the surrounding liquid, providing a healthy and delicious drink. The potassium that lemons contain helps the body to better control blood pressure levels and even nausea. It may also even help to improve your cholesterol levels. However, it is their vitamin C content that can help to protect the heart. Oranges, limes and grapefruit which are also great sources of vitamin C possess this quality as well. Lemon water is a great alternative to the extremely acidic taste of juiced lemons on their own. Not only this, but you will be helping your teeth enamel too if you water it down because citrus fruits can cause tooth decay when consumed in large quantities. Therefore, diluting it down will not only mean that the taste is more palatable, but also that you are helping to maintain and improve your dental health in the process. There are many ways to use lemons from salad dressings to marinades for meat right through to adding it to your drinks. As an ingredient in smoothies or soups, lemons will add a spark of flavor and can counteract the sweetness of many desserts as well. Below is a You Tube video from the channel ‘Girly Tips Etc’ where ten great health benefits of drinking lemon water each day are discussed. 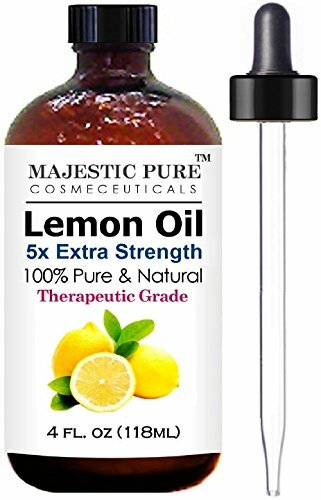 In addition, the compounds of lemons and their advantages for the skin are included too. If you want to get the great benefits of lemons in your own garden then you could consider planting and nurturing your very own lemon tree. They can stand a lot of different types of soil, so do not worry if the quality of the soil in your area is not ideal. They also enjoy facing the sun, so if you have a south facing area of your garden then this would be the perfect spot for your lemon tree. Lemon plants can also be grown indoors too but would prefer high levels of light. Therefore, you may need to also incorporate artificial lighting as well as placing the plant near to a large window for optimal results. So the next time you are reaching for that salad dressing or garnish, pop outside and pick a few ripe lemons instead. Mix the juice with some olive oil, salt and pepper and you will have an instant and fresh homemade salad dressing! This will not only be the healthiest option, it will also be the most fresh in terms of ingredients. I hope that these five great advantages of lemons can encourage you to eat more lemons and citrus fruits in general for their fantastic properties. The benefits to health are clear, vitamin C being one of the leading components. If you do not have a garden then perhaps sharing an allotment plot with friends or neighbors could give you the opportunity to grown lemons of your own, as well as to make great friends and great food in the process. I usually add lemon juice to my black tea. I just love the flavour. Or sometimes I squeeze them on raw tomatoes and onions. Hi Wizardloo, thanks for your comment. Adding lemon juice to tea is a great idea, and I enjoy adding it to salads too as a light and simple dressing. Great suggestion on tomatoes too, I'll have to give that a go! Hi planetayurveda, thanks for stopping by. I agree that other citrus fruits such as limes and oranges have some of the same properties as lemons. Limes can make a refreshing salad dressing for a change from lemon juice too. Hi Shaddymak, I'm glad you liked the article, thanks for your comment. I would like to really add lemon not only to my food but also to my water as well because of its many health benefits. But the cost of lemons here in my place is my problem. It cost too high for me. So I just use the local calamansi. Hello asereht1970, thanks for stopping by. I'm really pleased that you found the article informative. You are right that it's great to add lemons to water. The calamansi fruit sounds really interesting. I have just read about it being a hybrid citrus fruit. That probably has more health benefits for you than lemons! I love anything with lemons in especially lemon chicken. But I also like lemon drinks. Will have to try your salad dressing with lemon and oil now though.